Why Hopebridge? If you ask parents, team members or our partner schools and providers, the answers all point back to the same thing… our unique and effective mix of in-center autism therapy services. Applied Behavior Analysis is the basis of Hopebridge’s comprehensive 1-on-1 therapy. By using these targeted techniques and principles of learning in collaboration with other therapies, we influence significant, positive change and independence. The beauty of pediatric OT is that it teaches kids through what they love most…playtime! 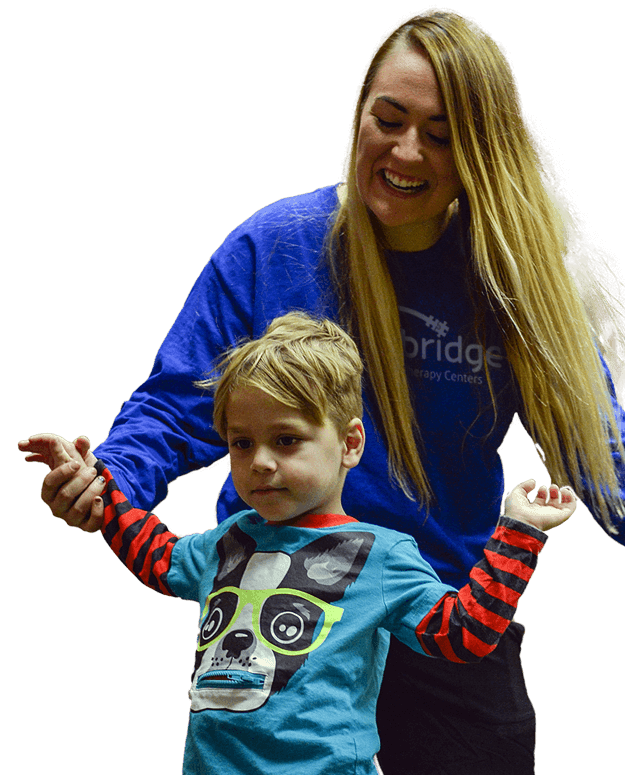 Hopebridge creates fun and supportive environments to address sensory, cognitive, perceptual and fine motor skills, including self-care and handwriting. With a "gym" full of equipment, physical therapy is where we focus on how kiddos use their bodies to play. Through this program, children develop gross motor skills, coordination, strength, mobility, balance, coordination and endurance. At Hopebridge, therapy doesn’t stop at the center doors. To achieve success, it’s imperative parents and caregivers are involved to pursue new skills. Hopebridge offers training and support opportunities to help you bring these practices into the home. It’s true, we work with superheroes. And our learning atmosphere feels like a playground to kiddos. But it’s Hopebridge360 – a multidisciplinary, center-based model – that sets us apart. We don’t look at only one aspect of life. We have the advantage of looking at a child through multiple lenses to build skills that transcend across all areas of development. It’s because of this fusion of services and environments under one roof that we are able to create specialized plans of care for each individual. Unlike home, hospital or classroom options, it allows for constant communication and collaboration between therapists, in addition to peer interaction and school preparation at a pace guided by your child. No matter where you are on your journey, our centers are here for you every step of the way, from providing a diagnosis to teaching families how to master a variety of skills in and out of the home. When it comes to autism and behavioral delays, early identification is essential to intervening at an age early enough to impact developmental growth and independence. Hopebridge provides insurance-recognized diagnostic evaluations to get your family the answers you need to set the stage for a lifetime. Speed is a another benefit of utilizing our assessment services and can reduce your waiting time by up to six months over other providers. Evaluations can be performed (and are often most beneficial) at as young as 18 months. The answers are waiting for you and are easier to obtain than you may think…what are you waiting for? Work with us to find out what your child needs for a more fulfilling life. You may be asking yourself, “how am I going to pay for therapy?” In the past, some of the most stressful times for autism parents stemmed from the payment and insurance process. From the get-go, our founder, Kim Strunk, knew she wanted to alleviate stress from this part of the journey. To do so, Hopebridge has a full-service Care and Benefits department. Our coordinators have experience navigating more than 200 plans, including Medicaid. We cover the entire scope – from obtaining authorizations to troubleshooting coverage issues. Learn more about what it means to live with autism spectrum disorder (ASD). Unsure whether your child needs an assessment? Learn more about the symptoms of ASD from our Diagnostics Team. So, your pediatrician recommended Applied Behavior Analysis…. But what is it? What are the benefits? Hit play to learn why this therapy is so effective.